The mission of the Morro Coast Audubon Society is to promote the appreciation, conservation, and restoration of ecosystems, focusing on the biological diversity of birds, other wildlife, and their habitats, particularly in San Luis Obispo County, California. We are composed of volunteers devoting time, energy, and resources to enjoying and protecting the environment through conservation, research, education, expansion, and diversity. MCAS is a 501(c)(3) Nonprofit Organization (TIN=23-7165021) and all donations are tax deductible. The Morro Coast Audubon Society (MCAS) is part of a national and statewide non-profit network, the National Audubon Society (NAS), which was founded in 1905. Today NAS encompasses over 500,000 members, more than 500 local chapters, plus centers and sanctuaries, professional staff, and supporters. This network is united in its efforts as a conservation organization that promotes protection for birds, endangered species, critical habitats, important ecosystems, and the scientific management and protection of wildlife. 1. Manage and utilize MCAS properties for educational and research purposes. 2. Identify current conservation issues. 3. Set an example of ways to preserve and protect natural resources. 1. Support the Winter Loon Survey. 2. Monitor and manage Western Snowy Plover habitat. 3. 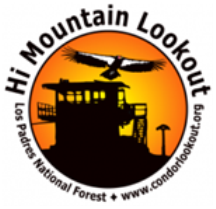 Support the Hi Mountain Lookout Project. 4. Work collaboratively with other organizations to support future research projects. 1. Utilize MCAS office space as an educational outreach center. 2. Expand and diversify MCAS field trips. 3. Encourage members to participate in the youth outreach program. 4. Increase attendance at all community programs. 1. Plan, initiate, and implement fundraising and fund handling strategies. 3. Encourage and convince MCAS members to take an active role in the organization. 4. Increase public awareness of MCAS, its mission, and its activities. 1. Participate in more local community events which attract a diverse audience. 3. Work collaboratively with other local groups to promote conservation issues and awareness.